It is not known where the grave is located. Maybe Gruber was buried alongside his second wife, directly in front of his home. His gravestone with an image and the gravestone of his wife are attached to the wall of the house. The municipality closed the cemetery in 1880 and the new cemetery in the district of Burgfried was opened. The grave of F.X. Gruber is the only object that remained in his honour. The chronicler Sebastian Wimmer in 1883 mentioned only the headstone at the right hand side of the entrance but no burial site (2). On the oldest known picture, dated 1909, only the epitaph on the wall of the house can be seen. At some point between 1912 and 1927, a monument of stone blocks was constructed, somewhat removed from the wall of the house. In the place of the earlier cemetery, trees and shrubs grew in front of the house in the allotment garden of the dean. The whole square appeared very idyllic and quiet. A large number of memorial stones, not only those of the Gruber family, on the wall of the house provided a memory of the earlier existence of the cemetery. 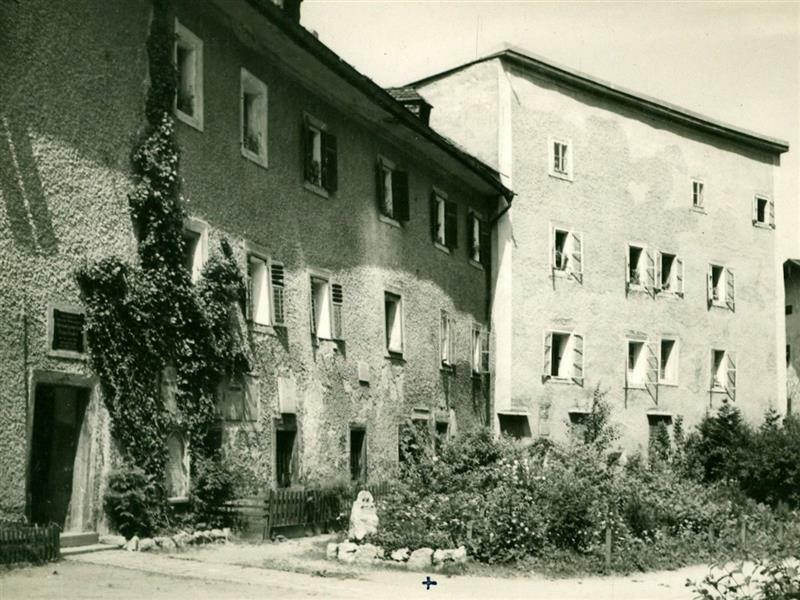 In the mid 1920s, the town fathers of Hallein felt that the admittedly somewhat overgrown appearance of the house and of the square in front of the church was undignified. Hallein, as an upcoming tourist town, should honour the memory of the composer of the world-famous song in a more dignified manner. A renovation of the façade and a re-design of the grave were planned. As usual, a committee to take over the implementation of the project was formed first. In a first step, those responsible intended to relocate the public lavatories for the churchgoers which were located to the left of the left-hand gateway of the Mesnerhaus. The search for a suitable replacement in the vicinity of the church proved to be more difficult than expected. As no suitable property could be found, the WC facility was removed without any replacement. It took until 1935 for actions and not just discussions to take place. A meeting (3) of the local council began with some disagreements, the council was unable to decide who was now responsible for the renovation. Some people were of the opinion that it was a matter for the association, the Liedertafel choral society should as a result be responsible for the presentation of the grave and the home of its founder. Baker Rosenmayer took the view that it was a national issue that went beyond the town borders of Hallein. This view met with great approval, it was decided in the meeting upon the foundation of a committee of 14 members. Included in the committee were representatives of the Catholic Church, the defence associations, the school system, the Halleiner Liedertafel and the township of Hallein under the chairmanship of district governor Rudolf Dworzak. The patronage was taken over by state governor Franz Rehrl. A request to Austrian federal president Miklas also to be a patron was declined. It was also suggested that an appeal for donations should be drawn up. Part of the revenue could then also be used to secure the estate of the composer. The grandson, concert singer Felix Gruber wanted the municipality to purchase estate. Otherwise, he intended to sell the estate to America. In the next meeting on 19th September 1935 (4), the procedures for the appeal for donations were discussed. The Austrian Sängerbünde choral association should not be the only organisation to be contacted. This association was a member of the German Sängerbund choral association and, as a result, one could also request the addresses of the German members and then write to them as well. An appeal for donations was drawn up and then discarded again. Finally, the committee was able to agree upon one text. 3000 copies of this text were printed and were sent to the Austrian municipalities, choral associations, companies and banks. The addresses of artists were requested from the Salzburg Festival and the appeal for the general population to participate in the renovation of the home and the grave appeared in the newspaper. In Hallein, collective lists were hung up on buildings. An application to the city of Salzburg to do the same thing in Salzburg was rejected by the city fathers due to the already fairly significant financial burden on the inhabitants. With the beginning of the collection campaign, an unwanted secondary front also opened in the confrontation with the municipality of Oberndorf. Oberndorf was also planning on raising money for its planned Gedächtniskapelle (memorial chapel), which opened in 1937. Oberndorf had already had the idea earlier of obtaining the addresses of the choral associations and to write to the members asking for money for the chapel. Now Hallein had also come along and was also asking for money for the re-design of the grave which led to complete confusion for the members of the choral associations. These members had no idea that Gruber had been buried not in Oberndorf but in Hallein, and they were disturbed by the two campaigns in the name of Gruber. The chairman of the Ostmark (Austria`s name under Nazi rule) choral association, privy councillor Viktor Keldorfer wrote a furious letter to the chairman of the Gruber Grave Committee in Hallein (5). In the letter, he criticised the lack of communication with Oberndorf. It couldn`t possibly be the case that no-one had known anything about the other party, particularly as Gruber`s grandson had also been in Oberndorf for the meeting relating to the construction of the chapel and had said nothing about the fundraising campaign of Hallein. He probably knew nothing about it, even if had been claimed that the project had already been running for more than 10 years. That probably means that the project had been under consideration but nothing had actually taken place. After this written slap in the face, additional letters requesting donations to the Sangesbrüder (fellow choir singers) were stopped. A bronze plaque from the teachers of Los Angeles brought about another confrontation with Oberndorf. In 1934 the teaching body of Los Angeles, inspired by lectures given by the director of the "Austro-American Institute" Dr. Paul Dengler, donated a bronze plaque to honour the composer Franz Xaver Gruber. This was presented to the Austro-American Institute on 2nd July 1935 by the American ambassador in Vienna, George Messersmith, with the request to mount it at Gruber`s place of activity. Dengler was of the opinion that Gruber had lived in Oberndorf and that he had also died there. He therefore suggested that the plaque should be mounted in the planned Gedächtniskapelle chapel. The "Neue Wiener Journal (New Viennese Journal)" reported on 3rd July 1935 about the presentation and the planned location of the mounting. This in turn prompted the municipality of Hallein to write a letter to the chairman of the Institute (6) with the suggestion that the plaque should actually be mounted in Hallein. 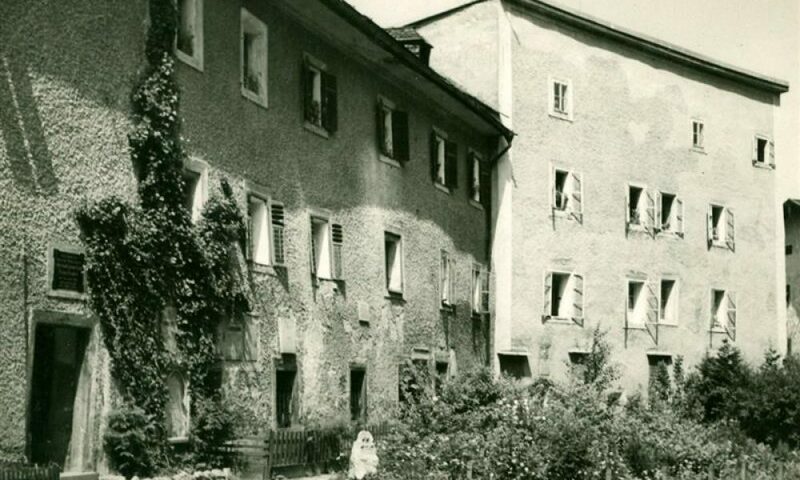 Gruber had worked there for many years, his grave was located there and his last descendants also lived in Hallein. In the end, the decision about the mounting of the plaque fell to the Teacher`s Association of Los Angeles itself and they decided in favour of Hallein. The plaque was to be mounted near the grave, and the grave was in Hallein. Dr. Paul Dengler presented the gift personally to the town of Hallein. The decision was also communicated to the "Stille Nacht Komitee" in Oberndorf. After these events, the level of warmth in the relationship between Hallein and Oberndorf fell to below the freezing point. Many communities excused themselves for only being able to spare small contributions, or no contributions at all, due to their tight financial position. Large companies such as the Österreichischen Tabakregie (Austrian Tobacco Company), the AKM Gesellschaft (AKM Association), the Halleiner Papierfabrik (Hallein Paper Factory) and banks made donations to the amount of 100 to 200 shillings. Many inhabitants of Hallein could only make contributions of 50 Groschen or 1 or 2 shillings, the economic situation didn`t allow any more. The "Hummel" ladies choral association decided to give two church concerts and donated the proceeds for the grave. 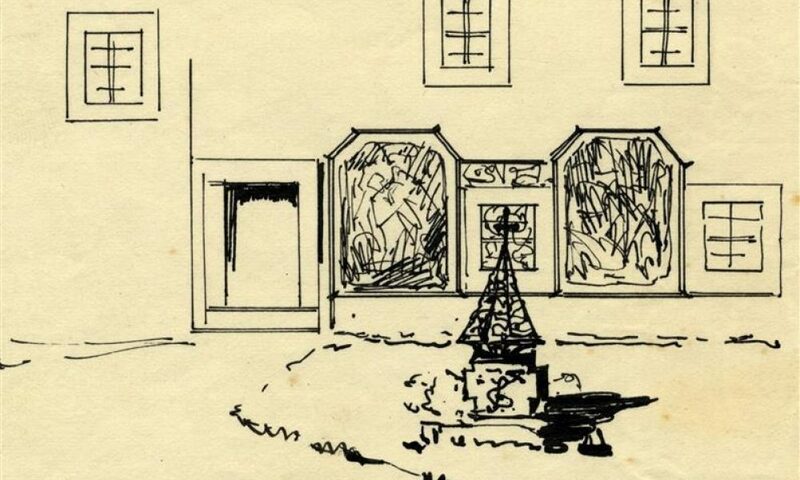 A variety of suggestions for the design of the square were received, one of them from the painter Hans Sengthaler. This was very well received by the committee (7); only the iron Christmas tree in place of a cross appeared somewhat strange. A decision was finally made for the simplest and cheapest version: a simple wrought-iron cross and a border made of conglomerate stone. 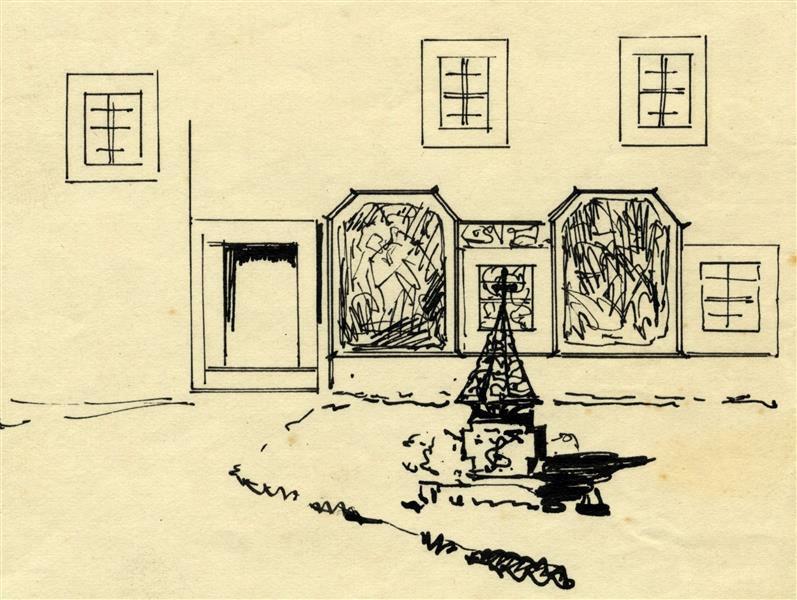 In the meeting of 16th September 1935 (8) , the chairman, Mayor Anton Stütz presented a detailed plan for the construction of the structure, for the façade of the house, the grave and the new design of the square in front of the church. After one year of charitable activities, a balance of 2318 schillings was announced in the meeting of 24th June 1936 (9). This amount meant that work could begin on the repairs for the house façade. 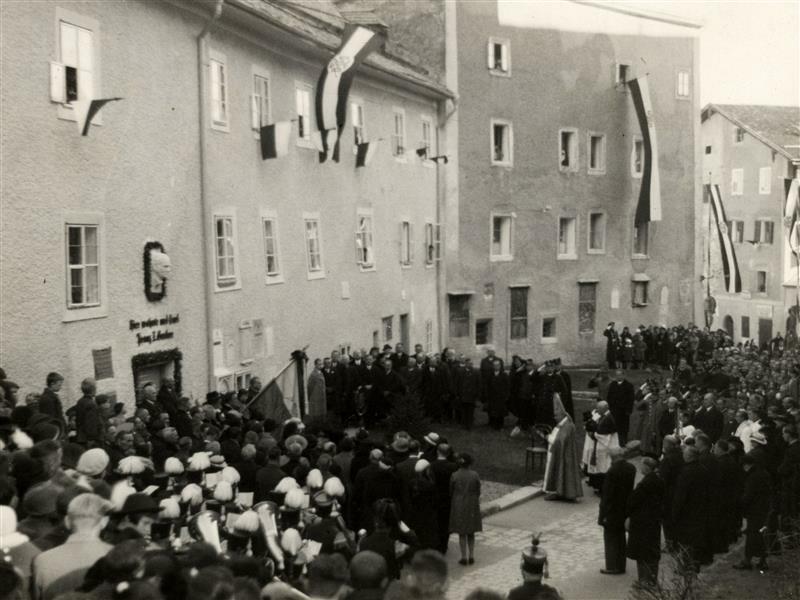 The population of Hallein needed to be reassured that the work was seriously about to begin to enable the planned door-to-door collection to be successful. Afterwards, the cross of the grave and then finally the gardens could be tackled. Dean Hermann Oberwallner was against the closure of his allotment garden in front of Gruber`s residential home. This was however necessary for the re-design of the square and it was decided that he should be provided with a garden elsewhere. The costs for the entire renovation were estimated at 9,000 shillings, the remaining 6,500 shillings had to be raised from intensive collections and contingent grants from the federal government. Sculptor Hans Baier produced a larger than life marble bust from a photo of the composer dated 1860. The head was secured above the entrance door; the plaque from the teaching body of Los Angeles was placed on the left next to the door. The tombstones of the Gruber family remained, freshly cleaned, on the right next to the door. All other memorial stones were removed. 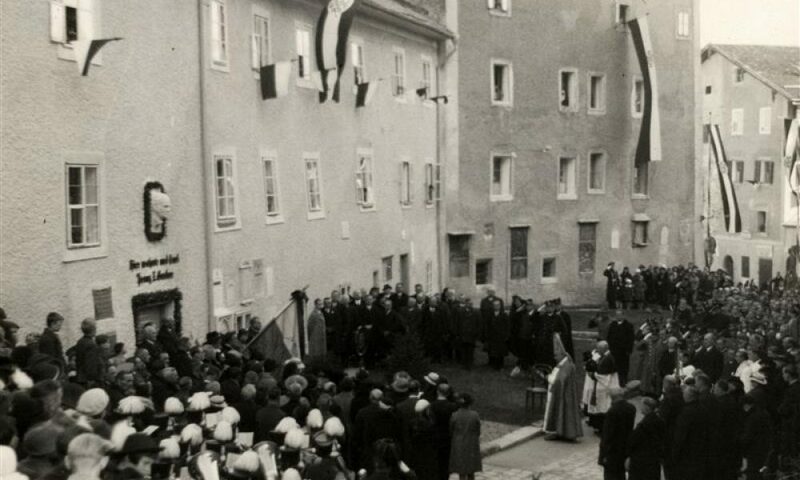 On 8th November 1936, the time had finally come: Prince Archbishop Sigismund Waitz consecrated the square and the new grave. Beforehand Felix Gruber, the Composer`s grandson, performed a mass composed by his grandfather in 1847 with the Liedertafel singers in the church. Unfortunately the site that had been painstakingly financed from so many donations was seriously damaged some years later by the fire in the church and in the attic of the Mesnerhaus in 1943 and by the collapse of the tower in 1945. The current condition of the house dates from the period after 1945. The grave itself remains unchanged. Members of the family who died after 1880 are buried in the new cemetery in Burgfried in a grave of honour granted the town of Hallein.